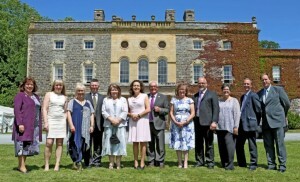 What a memorable day for n-ergy and all the winners at the PRIME Cymru Awards 2015 held in the historic Nanteous Mansion, Aberystwyth on Friday 10th July. The lunch awards ceremony was hosted by Sarah Dickins (BBC Wales) and the awards presented by HRH the Prince of Wales, Founder and President of PRIME Cymru, the Prince’s Initiative. 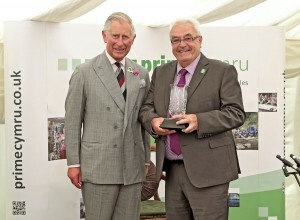 HRH The Prince of Wales is pictured above with Teg Bevan from Pencoed, winner of the Mentor of the Year Award. Teg has been a volunteer mentor for over 7 years, supporting a number of clients through Prime Cymru. Over 80 people / businesses attended the awards ceremony organised by David Pugh, Chief Executive and his operational team at PRIME Cymru which celebrated the achievements of people aged over 50 in Wales and also recognised the support of mentor volunteers /organisations who give their time freely and generously to our patron charity, PRIME Cymru. All the finalists were aged 50 or over and had received support from PRIME Cymru to set up their businesses. Mentor of the Year (Teg Bevan – an aviation expert & long time business man from Bridgend who has been a mentor for 7 years). Donna Turner-Kot, Chief Executive said, “As a proud patron of PRIME Cymru (*), I am delighted that my company is sponsoring the inaugural PRIME Cymru Awards. One of the reasons why n-ergy is sponsoring the 2015 PRIME Cymru Awards is that I believe n-ergy and Prime Cymru have a shared aim to help people in the Principality to gain new skills to support their journey back into employment, whether it’s people with convictions or aged 50 and over. (*) HRH Prince Charles set up the charity in 2001 which is Wales’s only charity entirely dedicated to supporting those over the age of 50 back into work and providing both employment support and advice on new-business start-ups too.